How to Use Apple Cider Vinegar for a Pedicure. No need to go to an expensive spa for a pedicure that leaves your feet feeling completely smooth and refreshed. An apple cider vinegar pedicure can eliminate nail fungus and rejuvenate your feet. Follow the steps below and do your own apple cider vinegar pedicure at home. 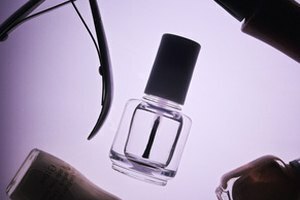 Remove old polish with nail polish remover and cotton balls. Mix 2 cups of warm water with 2 cups of apple cider vinegar in a basin. Use equal parts of water and apple cider vinegar if more is needed. Soak feet for at least 30 minutes. Dry your feet with a towel then use a skin file to remove dead skin and corns. Push back cuticles using a cuticle stick. Clip and clean nails using nail clippers. File and buff discolorations with emery board. Massage tea tree oil on both feet. Apply 2 coats of nail polish. Allow first coat to dry completely before applying second coat. Seal the pedicure by applying a clear coat of nail polish and let dry. Save money by doing your own spa pedicure. Your feet will feel refreshed and ready for anything.